Here I will discuss everything from having the right case manager to the right equipment and the health of special needs children. Do you feel like your re-inventing the wheel? If so, your not alone. That’s exactly what my mother and I felt in the beginning. As a first time parent you have to make decisions like: Do I nurse or bottle feed? And then what brand of diapers should I use? However when your a parent of a special needs child, the questions are over whelming. What you need is a case manager (in SC a case manager at the Disabilities Board) they should be able to answer such questions like: Are there any diapers that will fit my child? Will medicaid pay for the supplies or is there a another organization that will help me? My child needs therapy, where can I apply and how many hours a week can we receive? Can you help my child get SSI or speak to the SSI case worker to make sure he or she is receiving enough? To what age will my child qualify for schooling? A Case manager as you can see is a very important part of the team. I would like to quote my son’s doctor because he just recently used an expression that has so much merit “It takes a nation to care for his many needs!” In other words you can’t be expected to do all this on your own. The age and diagnosis of your child will determine what programs he or she will qualify for. The biggest factor is where you live. I had no idea that in some states your child will receive more assistance than other state, but it’s true. We live in Charleston SC which is a beautiful state with mild weather, and beautiful historical places and beaches. 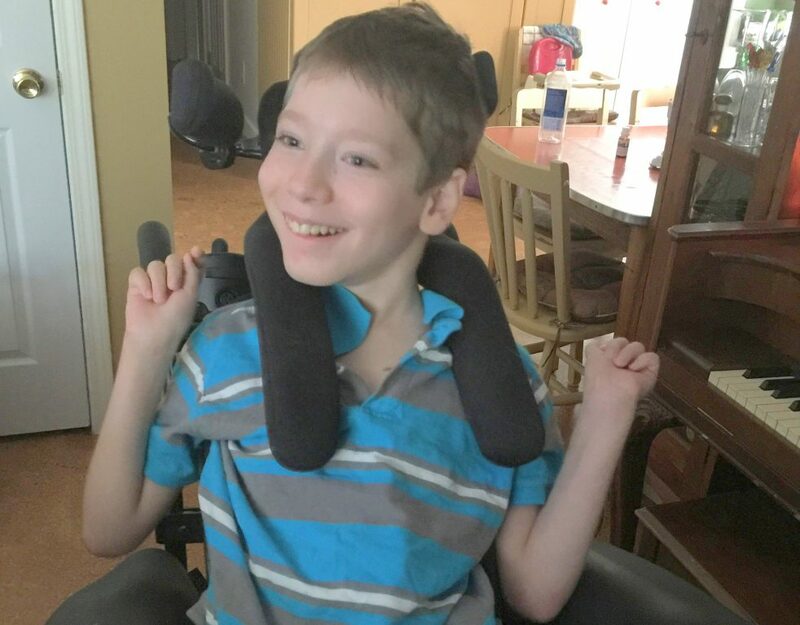 We have a large amount of special needs families in the area and there are people out there that are passionate about making a difference, but since my son is such a special case, there really isn’t enough help here for him. “This doesn’t mean you won’t fare well here, it all depends on how unique your child’s case is!” I will say that MUSC is an amazing hospital with many fine doctors. Jacob is just a very unique case and is always keeping everyone on their toes. One question I had when Jacob was younger is: “What is the difference between PT, OT and SP? Physical therapy is helping a child with movement of their legs, arms and head. Occupational therapy is more to do with the arms, hands, and a little bit of what the PT does. As an example they help the SP with eating, by assisting with providing skills in getting their arms and hands to their mouth. SP or Speech Therapist is not just helping a child to communicate, they help with eating, and with understanding commands. You should be able to get them all at some point to work together. Now, I would like to discuss the difference between the therapies a child receives at school verses at a clinic or your home. When children are young they can qualify for therapies in the home. Some therapists are private providers, which means they don’t work for a company.But lots of them still except medicaid to reimburse them for their time. You can take your child to a clinic or hospital where they can receive therapy. The least form of therapy and the least of time they will receive such services are in school ( at least that has been my experience here in this state. Because they don’t get paid enough). When your child is older and is maybe bed bound there is such a service that is called ” home bound services” which are through the school that your child should be going to if they could. This service requires a script from your child’s provider(doctor) who can witness to the fact that your child can’t attend school out of your home. While Jacob was in school his doctor asked that he stand in a stander so that he could strengthen his hips. What we have learned from the doctor: A child starts crawling to start forming the Acetabulum or hip socket(the curved bone that holds the femur in place) and as the child stands it forms even more, so that the femur ball rolls in place while you walk. Here is an image to help you understand. A stander is a devise that started out as a wooden long board with a foot plate that straps a child down so that they can stand up. Now days they come in many sizes and they all work in different ways, but the main function is to help children with standing up. My son had to use what are called AFO’s on this feet because his feet curve and so trying to put shoes on him, much less trying to get him to stand would have been almost impossible if he had not used these special foot braces. Jacob has had many wheel chairs through the years, but we were very blessed to have found two special people who are very passionate about making people comfortable in their chairs. If you live in Charleston Sc theses are the people to trust in making your chair: National Seating And Mobility (Jeff Brown and Jill Monger). They can even help people learn independence by teaching them to drive their wheelchairs. I believe that’s all for now, but if you want to share or ask about any of the devices or services I spoke of please feel free to contact me!